Researchers from the Champalimaud Neuroscience Programme have confirmed the role of the feel-good neurotransmitter serotonin in alleviating pain by using a combination of advanced genetic and optical techniques. Their research was published in the scientific journal PLOS ONE. 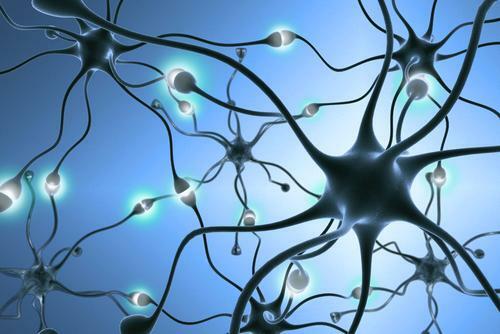 The main role of serotonin is to relay information from one part of the brain to the other. It is known to be involved in a wide variety of physiological functions and behaviors. "Serotonin is a small molecule known to be implicated in a wide range of brain functions, from the control of sleep and appetite, to the regulation of complex emotional behaviors. This neurotransmitter is also popularly thought to contribute to feelings of well being and happiness, as some anti-depression medications work through increasing serotonin in the brain," said Zachary Mainen, CNP director and principal investigator of the Systems Neuroscience Lab, in a statement. While serotonin is widely researched, it still challenging to research due to its location in the brain. The cells that produce serotonin are located in a specialized group of cells called the dorsal raphe nucleus (DRN), which are located deep in the brain. "In addition, other cells that produce and release different molecules are also present in the DRN, which means that general stimulation of the area may result in the release of other molecules besides serotonin," Mainen said. DRN is also strongly associated with brain dysfunction and disorders like Alzheimer’s. So, to overcome these limitations and to better understand serotonin’s functions, the researchers used optogenetics — a method that uses light and genetics to manipulate neural activity. The use of light-sensitive ion channels helps to target specific neurons with extreme precision. It has been successfully used in many areas of neuroscience, from studying the mechanisms of antidepressants to understanding physiological processes like breathing. In the current study, the researchers used genetic techniques to express a light-sensitive protein in the serotonin-producing cells of mice. When the researchers shone light on these cells, the cells released serotonin. As expected, their experiment showed the positive effects of serotonin. Mice that were stimulated to release serotonin showed a significantly decreased sensitivity to pain compared to mice in the control group. "We devoted substantial efforts to optimizing light activation of serotonin-producing cells," Mainen said. "Overall, these results provide a new level of evidence on the importance of serotonin in gating the influence of sensory inputs to behavioral outputs, a key physiological role that will help define large-scale theories of serotonin function. Moreover, it has possible implications for better understanding chronic pain treatment."